After 19-year-old burglary suspect Michael Kennedy eluded cops at a nearby rail station, they set up a perimeter, got a helicopter involved and started searching yard to yard. 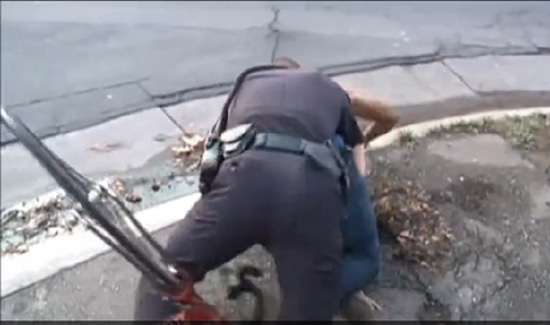 He grabbed a bike from someone’s front porch and tried to escape… straight towards a camera crew and a Sacramento officer who didn’t hesitate to take him out with an amazing tackle. It was all caught on film. Kennedy is being charged with fleeing from police, burglary and felony assault on a police officer. Let’s go to work, fellas!